Honey Bee Deaths: Do They Matter? Some have argued that non-native honey bees (say, Apis mellifera in the UK and USA), are not critical. If a non-native honey bee species is having problems, surely we do not need to be too concerned, because other insects can step in to pollinate our crops? Others argue that native bees and pollinators would benefit from the demise of a non-native honey bee. Here, I’m going to put forward a few counter arguments. Please note, in doing so, I am in no way attempting to imply that wild bee species and pollinators matter less than honey bees…. The Broader Question: What is happening and why? what is happening with the honey bees, why, and what does this mean for wild bee species? - and other invertebrates, for that matter. It's not as if the collapses and demise of these honey bee colonies is and was natural. Loss of flora and pesticide poisoning affect wild bees just as they do the honey bee – most likely wild bees are more vulnerable, because they are not being monitored or domesticated (i.e. no one is looking out for them!). Bees, and honey bees especially, are regarded as ‘canaries in the mine’ – an indicator of wider environmental damage and problems – a warning that action needs to be taken to rectify a dire situation, one that potentially affects not only honey bees but also other insects and creatures up the food chain. Not only are honey bees vital pollinators, they enable the monitoring of negative environmental influences, in a relatively fast and controllable manner, and in a way that is not possible with wild species. Honey bee hives can literally be moved from one area of the country to another, be monitored, and further investigated, comparing different outcomes in different environmental conditions. 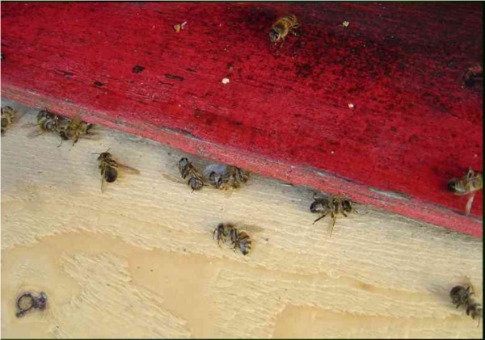 Effects of environmental pollution can be seen quickly at the hive, and measured in a variety of bee products like pollen, wax, propolis and honey. Such analysis provides information about mechanisms of contamination, as well as timing. Honey bee colonies should (in healthy circumstances) thrive year after year, where as wild solitary bees and bumblebees have much shorter life cycles, and monitoring of toxins in solitary bee nests would possibly mean destroying the nest completely. With honey bees, environmental effects can be observed over time, so that the real, longer term effects of pollution can be seen. Honey bees are 'super-organisms'. This means that colonies consist of large numbers of interdependent individuals, so that to harm part of the colony means to harm the whole. Again, effects on honey bee colonies provide a further perspective on effects of pollution or disease. So, if we lose honey bees we therefore lose not only important pollinators and charming creatures, we also sacrifice a vital ‘flag waver’ for the environment and eco-system health – and this warning serves other insect populations too, AND humans! Do Honey Bees Compete With Wild Bees? 'But aren't honey bees competition for wild species? '- is a question I am sometimes asked. There are circumstances when I would suggest that beekeeping is not a good idea, such as in environmentally sensitive areas. It might also be that large scale honey bee operations could affect populations of wild bees, although there are relatively few such operations, and often these are shipped around for the purpose of pollinating fields - generally very large scale monoculture crops - hardly natural habitats for wild bees! This pollination service is carried out to produce crops for humans to eat, and keeps food more affordable. However, a lot of the beekeeping is conducted on a small scale, and this does not appear to be detrimental to wild bee populations. Put another way, the total number of beekeepers and honey bees had been declining for many years in the UK, and in some other countries too (the resurgence in beekeeping did not occur in the UK until widespread publicity about honey bee deaths and colony demise, and the crisis facing bees). Yet there is no evidence suggesting that in tandem with beekeeping and honey bee colony declines, native pollinator populations increased. Infact, the opposite is true. According to Dr Ben Darvill, formerly of the UK Bumblebee Conservation Trust, five species of wild bee (including bumblebees) entered the UK Red Data Book of endangered species that were regarded as common in the 1980s - that is fast decline - and despite fewer honey bees! According to more recent information, 24% (almost a quarter!) 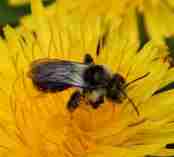 of Europe's bumblebees are threatened with extinction. 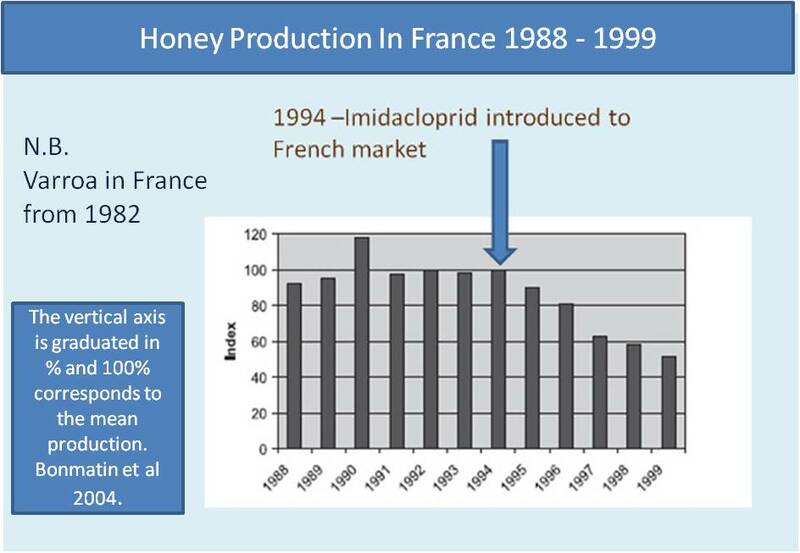 It is also interesting that beekeepers in France began reporting the phenomenon of mass honey bee deaths and disappearance following the introduction of a neonicotinoid pesticide in 1994. Update: as of 2017, French beekeepers are still concerned about colony losses and pesticide authorizations. Whilst there is overlap between some of the plants and flowers favoured by particular bees, nevertheless, there are plants that are visited only by particular species. Honey bees are known to have short tongues, therefore, they are less keen on deep flowered species visited by long tongued bumblebees. In other words, honey bees will not provide competition for all bumblebees for all types of flora. The solution to"competition for food among pollinators"is surely"more flowers"? However, many of the solutions to the problems faced by bees lie in our garden and town planting schemes, and wildlife-friendly farming practices. The solution to 'competition' is surely "more flowers"? 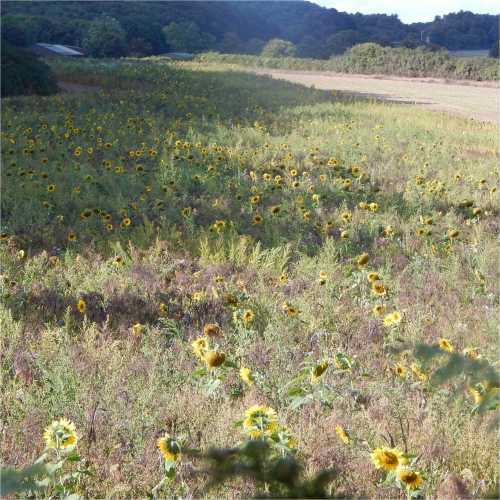 destruction of wildflower meadows, sensitive habitat and acres of woodlands (e.g. up to 97% of wildflower meadow has been lost between 1930 and 1980, across England and Wales according to the Grassland’s Trust). Much of this is due to building (I discovered my own home had been built on a wildflower meadow) and farming practice. unhelpful gardening trends in comparison with years ago. In particular, gardening habits and fashions changed, with a demand for more hard landscaping, easy-to-maintain greenery, and an obsession with highly cultivated, low pollinator value plants (though I'm glad to note the increasing awareness among gardeners of the need to help bees!). intensive farming methods have seen hedgerows grubbed up and the development of large, mono-culture fields. With awarenes, we are beginning to see some positive changes as ordinary people, and some thoughtful farmers do their best to help. We have to start somewhere, and as individuals, we can all do our bit. Large pollinator margin in a field in Norfolk, England, UK. Let's not lose sight of the importance of wild species, and remember that where attention goes, often this is where the financial assistance flows, including government funding. Honey bees and beekeepers are very important, this is true. However, it is vital that wild pollinators and their needs - which are sometimes different from honey bees (e.g. in terms of floral preference) - are given a fair amount of the support on offer. Anyway, in short, I suggest humanity first addresses the pollution and habitat problems we create ourselves. I believe this will help bees and other pollinators greatly. What Happens To Honey Bees Gets Noticed - Quickly! Not only are honey bees important for pollination and for helping us monitor the environment, but no other insect has such a large group of humans across the world, interested in its welfare - namely, beekeepers! Beekeepers play an important role here, because they are able to exert pressure on governments and institutions on a major scale. Consider the influence and pressure from beekeepers in France, and the early restrictions to the use of certain neonicotinoid pesticides which followed, such as the neonicotinoid Clothianidin. Consider the sharing of information between beekeepers across the globe, not only with each other, but also with other concerned individuals and conservation groups, scientists and the media. I believe the voice of beekeepers can be a strong force against events that are detrimental not only to honey bees, but also other insects. And beekeepers are among the first to note these events, and be in a position to start making a noise about them! However, when colonies collapse, and beekeepers find it hard to maintain their hives, it becomes harder and harder to keep trying, until eventually, some give up all together. This is a bad situation to be in, because we lose an important pressure group for bees and the environment. Declines are evident among many insect species, albeit it, their plight may be less visible initially. (Just because me may see a few wasps or houseflies this year, this doesn’t mean all insects (even wasps and houseflies!) are having a good time on a national level). Therefore, it would be a mistake to ignore the vital clues honey bees and beekeepers provide. Honey bees are one of the most widely researched creatures on our planet. For this reason, when something is going wrong, it is right that we should use the significant, established knowledge base we have around honey bees to give us a head start in finding out what has been happening to cause honey bee deaths and colony collapses on such a major scale. Then we should consider whether the findings are significant for other insects. However, I would add a note of caution here. It could be tempting to watch the increase in beekeeping as a hobby, and decide ‘Oh, well there are more honey bees now, so the problem has gone away’. Simply increasing the numbers of people keeping honey bees, though positive, does not address the broader issue. When we answer these questions truthfully, we know we need to address the route causes of some of the problems facing bees: farming and land management practice, pesticide regulation and so on. When you think about it, a poor attitude to honey bees might suit the agro-chemical industry. Afterall, if farmers do not care about honey bees, and society looks upon this complex and beautiful creature with scorn, what does it matter if honey bees die through pesticide poisoning? Who cares? The truth is, when a colony species - a Super Organism, that is meant to survive beyond a year, is not able to do so, then we all need to sit up and take notice – before it’s too late! If bees disappear, can other insects compensate for the losses?